Numismatic Guaranty Corporation™ (NGC®) has announced a new NGC Small Multi Coin Holder, a single holder that can encapsulate two coins. This holder provides a visually appealing and convenient display option for two-coin sets or matched pairs, such as the 2019 Silver 10 Yuan Pig and the 2019 Silver 10 Yuan Pig - Colorized. Two coins, each sized up to 45mm in diameter and 4.5mm in thickness, can be encapsulated in the Small Multi Coin Holder. Inserts are used to accommodate a range of coin sizes. Most modern Chinese coins and many modern world coins are currently eligible, with more sizes coming soon. A complete list of eligible coin sizes appears below. 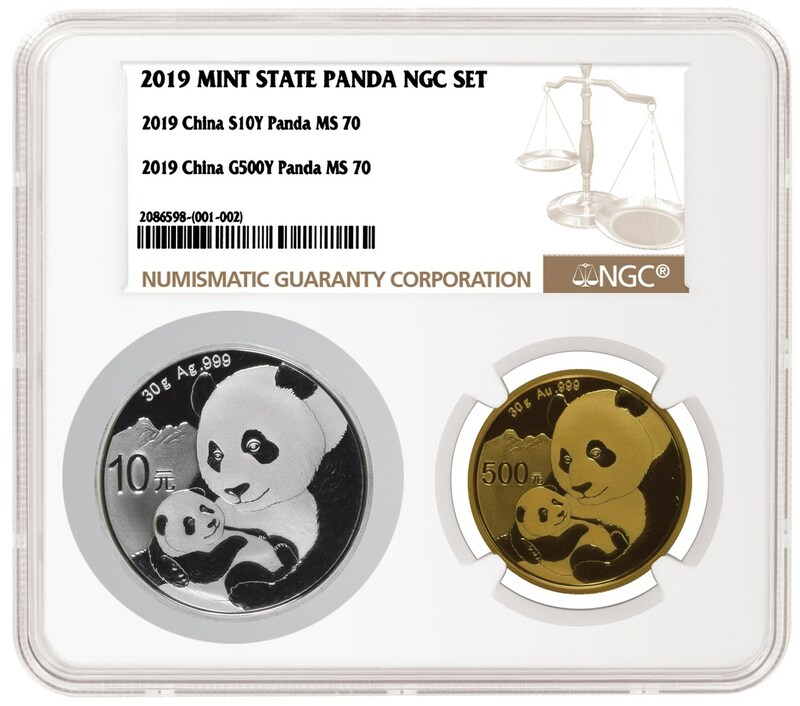 The Small Multi Coin Holder is currently available for select bulk submissions to NGC Hong Kong, Ltd. (NGC Hong Kong), the Hong Kong affiliate of NGC. There is an additional $5 (USD) fee per Small Multi Coin Holder. To confirm eligibility, contact NGC Hong Kong Customer Service at Service@NGCcoin.hk or +852 2115 3639.